Andrew is the Director of the High Performance Computing Research Laboratory. His research interests include HPC and GPU computing, distributed and mobile system, algorithms, concurrency and computer graphics. Andrew is also the Director of the New Zealand Alliance, a group of over thirty NZ academic and industry partners working on the Exascale computer design for the Square Kilometre Array Project, the largest mega-science project of the next decade. Originally from Auckland, he obtained his PhD from Berkeley in the US and worked as a postdoc at Siena in Italy before returning to NZ. 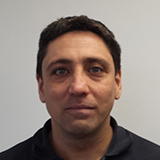 Peter is a certified Project Management Professional (PMP) with 12 years industry experience. He has managed projects ranging between $250,000 to $5 million in value in industries covering Broadcasting, Telecommunications, ICT and vendor project management. His Project Management responsibilities have included both infrastructure technology refreshes and application upgrades in corporate environments. Vendor project delivery has included industries such as power / network utilities, building products and services. 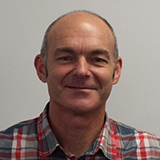 Peter carries both technical project management skills and excellent communications and collaboration skills which can be applied to a targeted research delivery within the HPC environment. Peter is responsible for the deliverables of the project milestones over this pre-construction phase to finish at the end of 2016/early 2017. John promotes research with business and industry and develops local and international research partnerships. 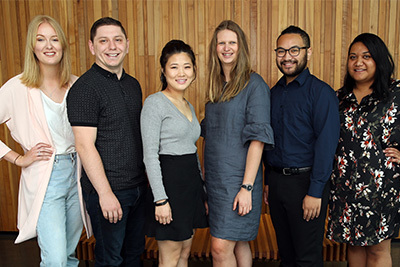 Assists staff with funding applications, expressions of interest or full tender submissions. 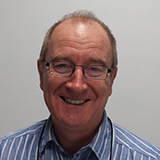 Professor John Bancroft is a former director of the STFC Hartree Centre in the UK. John successfully campaigned in the UK for $140 million being invested in Big Data projects and over $20 million of in-kind investment in the Daresbury site. Anthony brings almost 20 years of signal processing expertise to the HPCR Lab, ranging from digital communications to speech, audio and image signal processing. 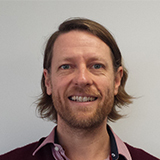 Originally from Wellington, he did his PhD in Electrical and Electronic Engineering at the University of Canterbury, and then spent 6 years in industry, programming DSPs for 4RF Communications and Industrial Research Limited. An extended period in Europe saw him re-enter the world of research, working on compressed sensing for audio, as well as microphone array processing. 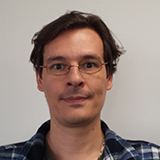 He is currently focused on performing a modelling precision analysis of the imaging pipeline of the SKA, as well performing other research in audio and image signal processing, and lecturing in software engineering. Seth recently obtained a PhD, at AUT University, and is currently employed full time under the School of Computer and Mathematical Sciences as a lecturer in Mobile and Distributed systems. He is a key resource working for the SKA project, involved in software development and Prototyping in GPU computing, many-core architectures and low-power parallelization. Seth will follow a prototyping plan and document Prototyping test reports during the course of the project. His specialty area is GPU-Accelerated Feature Algorithms for Mobile Devices which is the basis for his thesis. Having completed his Bachelor Honours (First Class) of Mathematical Sciences in 2010, Mahmoud is close to completion of PhD in Computer Science in Adaptability in Streaming Pipelines for eScience with emphasis on the SKA. The PhD research investigates the application of adaptive stream processing techniques to meet the data-driven needs for eScience. In particular the research addresses Big Data transport and processing requirements and challenges for SKA. Mahmoud works out of the Institute for Radio Astronomy & Space Research (IRASR) here at AUT. He is a Research Assistant and paid tutor during 2014/2015. Mahmoud is highly motivated learner that actively seeks opportunities to engage with and understand the latest technologies and innovations, and has a passion for passing on knowledge to others and has a keen eye for detail, job ownership. Nicolas Pradel is a radio-astronomer. He is an expert in Very Long Baseline Interferometry technology and extra-galactic compact radio sources. He worked on various researches and instrumentation developments for several facilities in the world, such as VERA in Japan, LOFAR in Europe, ALMA in Chile, as well as worldwide observation using VLBI arrays and he is now involved in SKA imaging research. He has got his PhD in France on a subject that linked high angular resolution imaging and very accurate sky source position measurements. Since then, he continued to work on such studies, as well as participating in several cutting-edge instrument projects at various stage of their development. 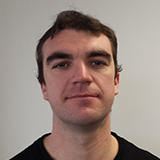 Brody is the key resource working on modelling and simulation tools for the SKA Project. Brody obtained his Bachelor of Engineering with Honours in Electrical & Electronic Engineering from AUT in 2006. 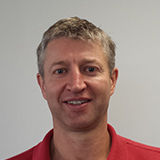 He has since worked for some of New Zealand's most prominent high-technology companies including NextWindow and Rakon, developing data analysis and simulation tools in the delivery of products for HP and Apple. Brody is currently responsible for developing mathematical models and simulation tools for critical elements of the SKA Central Signal Processor and Science Data Processor supercomputers. 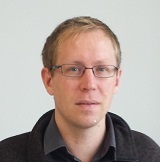 Stefan is an emerging researcher who graduated in 2014 in AUT University with a Masters in Electronic Engineering. 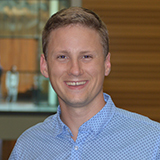 He specialises in low level software implementation in FPGA and has been proactively working with National Research Council (NRC) of Canada to design the supervisory monitoring system for PowerMX (PMX). William completed his PhD at the Electrical and Computer Engineering Department at the University of Canterbury. His thesis considered redundant number systems and their application in optimising digital signal processing in FPGA - making computing machines faster by not using binary. He then spent 5 years as an FPGA engineer at Endace Technology Ltd, designing FPGA network processors for PCI express cards. Now he is employed full time as an FPGA engineer in the HPCR Lab, working closely with the National Research Council (NRC) of Canada. He is developing internal 28Gbps serial data interconnects, network communication protocols, command and monitor infrastructure, and finally the cross-correlation function -- the raw data ‘blast furnace’ of the mid-frequency SKA Telescope. Sergei provides Radio Astronomy guidance and consulting advice on the expected outcomes. David provides modelling and electronic consulting advice. John offers consultation and advice on project activities.